United Christian Church is located at 8611 Hoke Road, Clayton. CLAYTON — On Sunday, December 9 the congregation of United Christian Church, 8611 Hoke Road, Clayton, invites the community to attend to experience the Christmas Cantata entitled “The Winter Rose” at the 10:30 a.m. service. Church member, Dr. Kurt Perkins’, Cantata narration will help the audience learn the true meaning of the rose. The choir, under the direction of Graysen Schaney, will be a combination of the United Christian Church Choir joined by current and alumni members of the Sinclair Community Collage Choral. Kathy Frauman, organist and choir director of United Christian Church has chosen this Cantata arranged by Joseph M. Martin with narration written by Pamela Martin. Ms. Frauman is a retired instructor and is currently on the staff in the Music Department of Sinclair Community College. 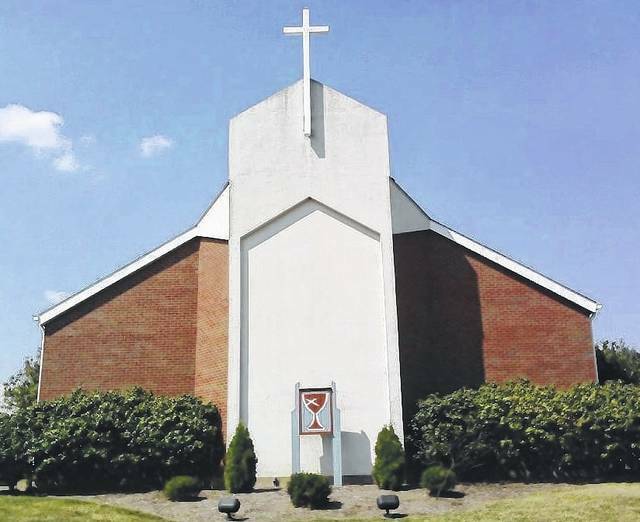 United Christian Church has an active congregation led by Rev. Coleen Beasecker with two services each Sunday, as well as Sunday school classes for all ages. The traditional service begins at 10:30 and the contemporary service at 11:15. Every Wednesday at 6 p.m. the church serves its ‘Dinners on Us,’ to the community. United teaches weekly Bible Study, Better health seminars, has a children’s library, men’s and ladies groups and a three circuit Labyrinth garden. United Christian Church will help through all that life throws at you. If you are lonely, bereaved, celebrating birth, life, birthdays, milestones, the good times or the bad, births, growing family, weddings and funerals; all aspects of your life. The church celebrate the joys and concerns and the highs and lows of life. Give yourself and your family spiritual renewal and growth. Find yourself renewed, energized, excited about life. Share with others God’s love. Contact United Christian Church at 937-832-3516, or visit www.ucc-clayton.com or Facebook: United Christian Church Disciples of Christ. https://www.englewoodindependent.com/wp-content/uploads/sites/26/2018/12/web1_UnitedChristianChurch.jpgUnited Christian Church is located at 8611 Hoke Road, Clayton.